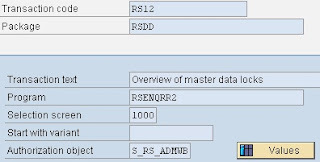 Martin Maruskin blog (something about SAP): Difference between transactions RS12 / SM12 ? 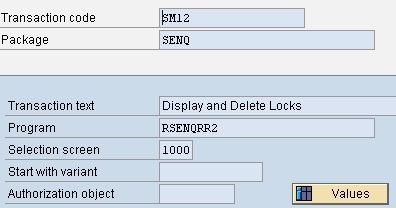 Difference between transactions RS12 / SM12 ? Seems there is no difference; at least as of BW 3.0 and above. 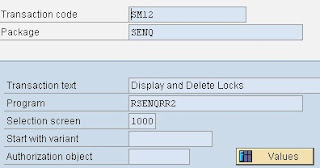 According SAP Note 316329 - Master data table locked locks on master data were handled differently in BW versions 2.0 – 2.1C. The difference is that not standard SAP lock mechanism was used but there was BW specific locking mechanism used. This was however removed in version 3.0 and subsequent. Therefore transaction RS12 is still in BW just because of BW history. 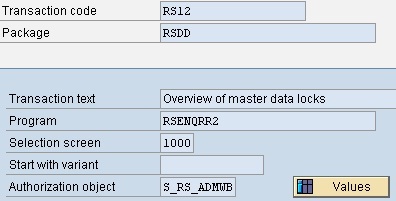 As you can see the same ABAP report (RSENQRR2) is called by both TAs. How to find BWA version?